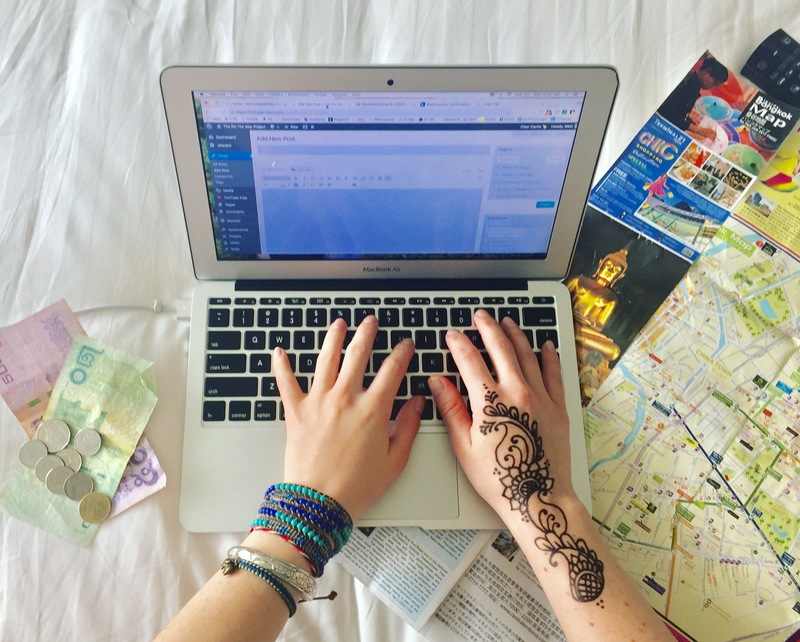 Did you know that 70 percent of travel consumers are women? Yet, there is a clear lack of female-led print and digital travel publications in the space. Enter Unearth Magazine, a new digital and print publication written for women, by women. Whether it’s the motorcycle-riding ladies of India challenging gender norms or the collective of female artisans in Nicaragua fighting against the patriarchy, Unearth will celebrate the work of female writers and photographers in both print and digital form. Unearth magazine will unearth female-led stories from around the world. Women around the world, across industries, are making their voices heard. Yet, in the travel space, the industry is still male-dominated. From the male-centric hosts on television to the oft-male dominated travel publications, many talented female journalists and photographers fight for a byline. At the same time, many female-led stories are eclipsed within the travel space at a time when ladies are pushing back on the patriarchy. The inspiration for Unearth Magazine is to create a female-driven print magazine that not only champions female writers but shares the stories of women. To write for Unearth Magazine – We are currently seeking submissions from female writers keen to be part of Unearth Magazine’s website launch and first print issue. You can visit unearthmags.com to find a pitch submission form. Unearth is seeking articles that focus on women’s travel, women’s issues and women’s stories around the world. Tell us about the female Mezcal farmer you met in Oaxaca! Share your interview with the female activist fighting deforestation in Borneo! We are looking for high-end reporting (500 words+) that brings women’s stories to light. Digital submission rates vary based on story length and the writer’s experience. Print submissions will be paid $75 to $100 USD per story. To help launch the first issue – Unearth Magazine is currently running a Kickstarter campaign to help raise funds for the first issue. Money from the Kickstarter will ultimately go towards paying writers and covering magazine production costs. 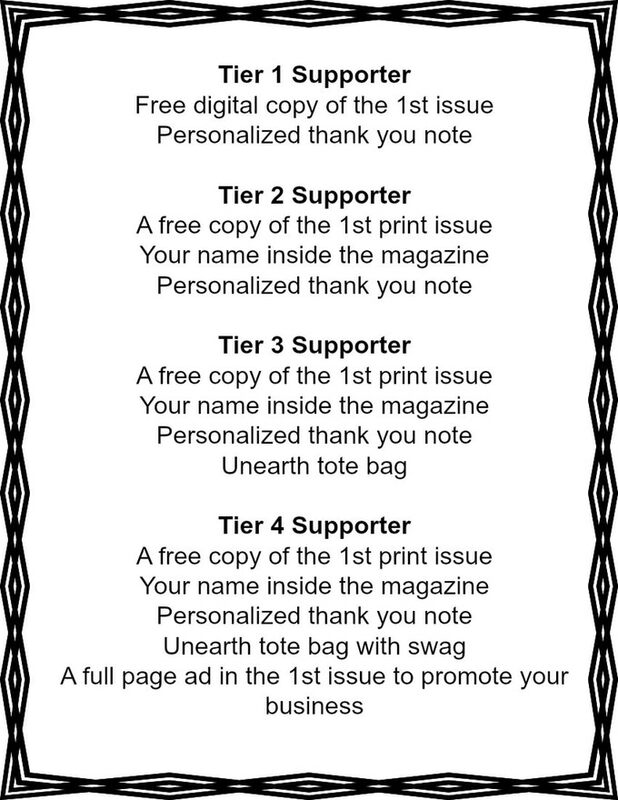 There are four tiers of support: Tier 1 ($25), Tier 2 ($50), Tier 3 ($100) and Tier 4 ($200). Unearth Magazine’s digital site will be launching May/June 2018 and the first issue will be on sale August/September 2018.